Pick up from the Port and drive to the Grand Mosque where you will see the world's second largest hand-woven carpet and chandelier. A major feature of the design of the interior is the prayer carpet which covers the floor of the prayer hall. The main chandelier is made of pure Swarovski crystal and the carpet adorning the large prayer hall was woven by experts, made out of pure Persian silk. 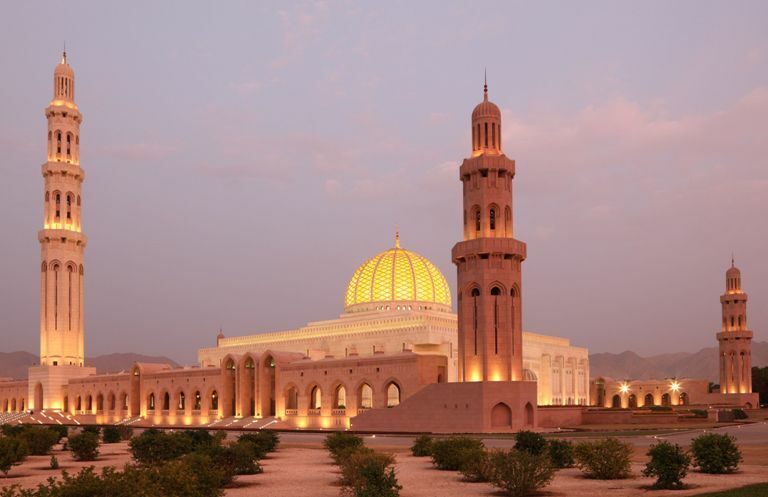 From the Mosque, drive back to the Old part of the city and visit Bait Al Zubair Museum. 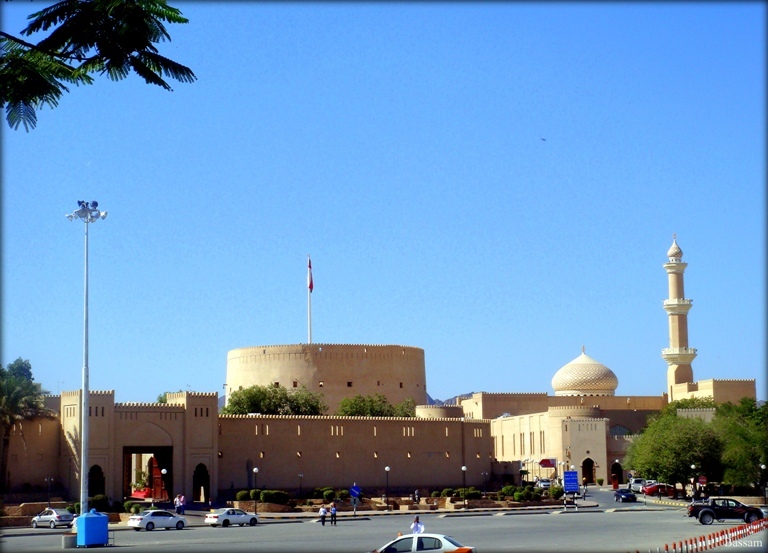 Bait Al Zubair (House of Al Zubair) is a private museum that opened its carved wooden doors to the public in 1998. The museum displays the family’s collection of Omani artifacts, which is considered to be the finest that is privately owned. Bait Al Zubair Museum is dedicated to showcasing important ethnographic artifacts reflecting the highly specialized inherited skills that define Oman’s society, both past and present. Last stop will be Sultan’s Palace (video filming is prohibited). The existing palace, which has a facade of gold and blue, was rebuilt as a royal residence in 1972. Al Alam Palace is surrounded by the Mirani and Jalali Forts built in the 16th century by the Portuguese. Al Jalali Fort lies on a rocky outcrop on the east side of the Muscat harbor. It faces Fort Al-Mirani, which is built on another outcrop on the west side. Muscat was strongly defended against attack from the sea by these twin forts, by the Muttrah fort further to the west and by other fortifications on the rocky ridges surrounding the bay. Then proceed to Muttrah Souq where you will visit Oman’s largest Traditional Souq. You will find typical Omani souvenirs like Frankincense, Omani Khanjar, Omani’s silver handicrafts and Pashmina Shawls. Bargaining is the part of the daily trade in the souq. After shopping, the guide will bring you in a local Arabic restaurant with our English speaking guide. After lunch, drive back to the Port. Visit the Nizwa fort which has been strategically built atop a hill overlooking the ancient city with its colorful domes and bustling market below. Spend some time in this traditional city and visit the interesting fort with the round tower and the museum and stroll thru the Souq. 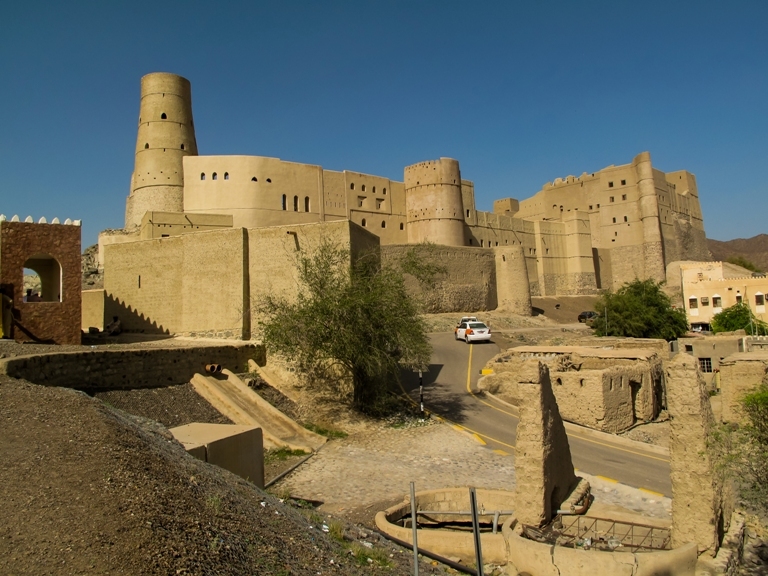 Nizwa Fort, built by Imam Sultan bin Saif al Ya'arubi in 1668, is the biggest fort in the Arabian Peninsula with an exterior diameter of its circular structure of 150 feet, and over 115 feet high. A little more than 30km west of Nizwa, – the district headquarters of the Interior Region or the Dhahira– deep in the lovely heartland of the Sultanate of Oman, lies the magical and ancient town of Bahla. Traditional in every respect even today, the town and its lush environs have many a tale to tell the modern-day visitor. After Bahla tour, Discover and explore the “Heritage village” with our guide and experience the real life with Omani People where you will be see the Qahwa making, the making of Traditional bread and pottery making. It is said that the potters of Bahla – apart from being born of land containing very special clay, they are also born with magic in their fingers. Lunch at the Heritage Village prepared by the locals themselves. (minimum 10 pax). For less than 10 pax, lunch will be served in a local restaurant enroute. Wahiba Sands is a vast mass of undulating red and white sand dunes rising up to 200 meters and stretching as far as the eye can see. It is also a host to a large variety of flora and fauna and ever-changing patterns of dunes which are a photographer’s delight! Enjoy an exhilarating round of “dune bashing” in 4 WDS. 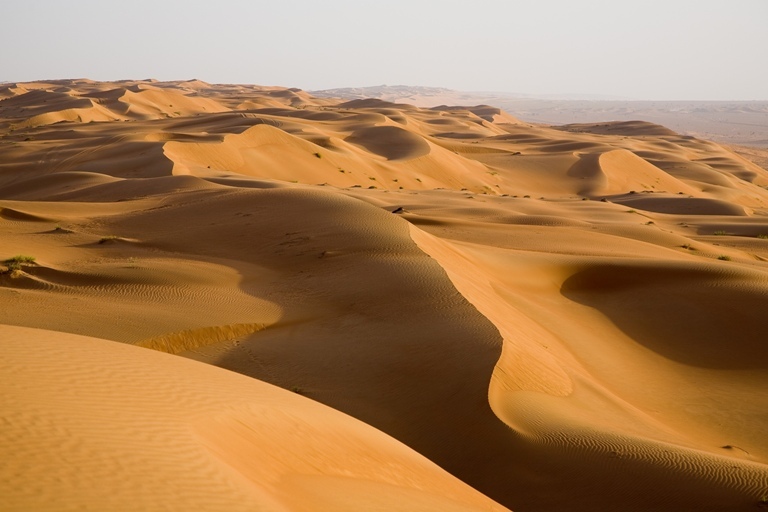 After experiencing the beautiful dunes, drive to Wadi Bani Khalid. The wadi has clear deep blue waters, where the shade of the palm trees is inviting for a relaxing siesta! Catch a glimpse of the pretty villages scattered all over Wadi Bani Khalid as they cling precariously to the slopes of the rugged mountain-side (Please bring along your swimwear, the clear waters of the Wadi are very inviting! Also please note that light clothing and walking shoes may be more suitable on this trip). Lunch in local restaurant. After swimming, return to Muscat by late afternoon.